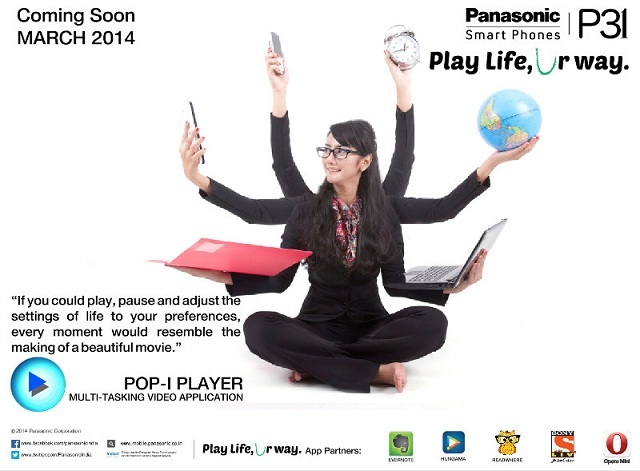 Panasonic is one of those brands which has taken an initiative to come out in the smartphone market, yet is still slow on catching up on releases. 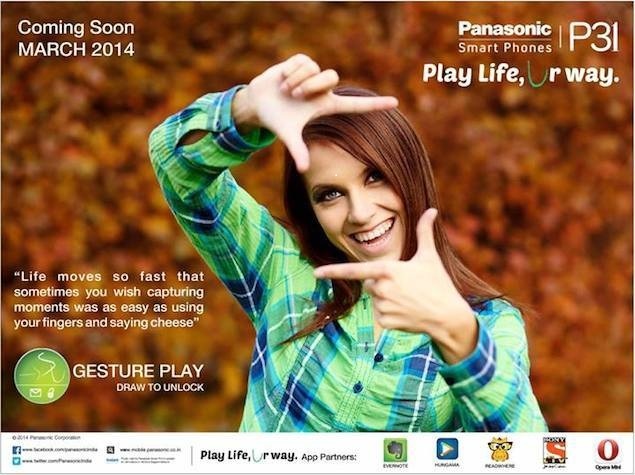 Panasonic has launched its P31 smartphone in India for a price of Rs. 11,990. The smartphone comes with features such as Android 4.2.2, a 1.3-GHz quad-core processor, a 5-inch display and an 8-megapixel camera. The Panasonic P31 comes with some interesting specs – most importantly a 5-inch FWWGA display, covered in Ultra Oleophobic coating to prevent smudges. Under the hood, there is a 1.3-GHz quad-core processor and 1 GB RAM. The phone is dual-SIM including a MicroSIM slot. It runs Android 4.2.2 and comes with 8-megapixel rear cam and VGA front cam. It also has some gestures on-board which come under the gambit of Pansonic Play Life and let you access the music library and gallery using gestures. Another interesting feature is the draw to unlock feature, which unlocks your phone using gestures. The handset will be available with online retailers starting next week.